"Middle Eastern Dance is a part of my daily life. I carry the rhythms and movements within my heart at all times. It sustains me, nourishes me- it feeds my body as well as my soul. I used the dance to grow as a woman, to give birth to my sons, to heal my body during illness, and now to celebrate each and every day of my life. I will dance until my last breath here on earth!" 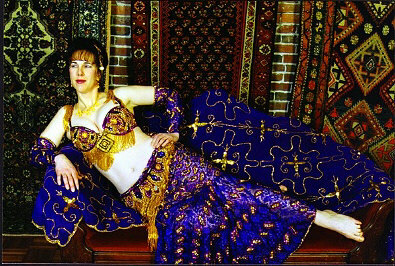 "I've taken Middle Eastern classes and workshops for many years, and I have to say that Miraya's classes are just about the most fun I've ever had in a dance class. She has a special gift for making the beginner feel graceful and the advanced feel challenged. I love the way she manages to incorporate both choreographed routines and improvisation into every class."